Would love to see EC advance but Yoemen seem to be the favorites. I'm pulling for the Bucs. Thursday 7:00 at Baytown Christian. 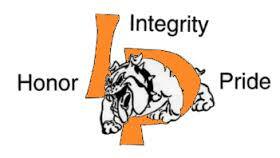 I will always expect La Porte to win over Sterling. All Baytown Christian games are played at Baytown Christian campus. I stand by my prediction. Mart Panthers isn't playing their first year of varsity here. Mart takes this one. I believe the Baytown Christian game will be at Baytown Christian. They are scrimmaging Zephyr and Richland Springs this weekend so they have a mighty big appetite. Maybe they have something! Baytown Christian is heading out to Zephyr to battle 8-time State Champs Richland Springs. Also will play Zephyr which is lead by former High Islands coach Brent Williamson. A great showing will put SETX 6man in a lot of mouths around the state. Will you guys cover the 6man scene weekly?